Oscar winning actor Tom Hanks has shocked fans worldwide by revealing during an interview on the 'Late Show with David Letterman' that he's suffering from type 2 diabetes, which might have been caused by the radical weight fluctuations required by his different movie roles. 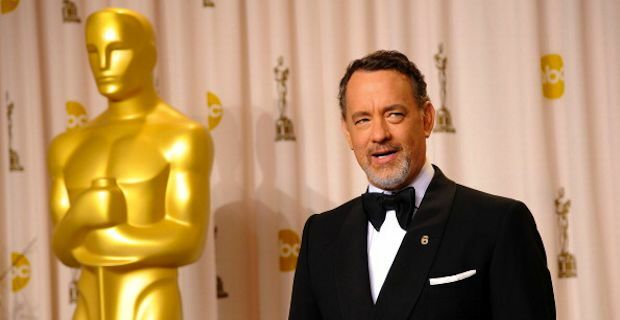 57 year old Hanks had notoriously undertaken challenging parts during his 30+ year long career such as in 'Forrest Gump', 'Philadelphia' and 'The Green Mile' where he successfully brought to life extremely complex characters. The Californian actor was also never one to shy away from a physically demanding role: he gained 30 pound for his basketball coach role in the 1992 film 'A League of Their Own', while some years later to better portray the physical changes of 'Cast Away' main character Chuck Noland, he chose to shed 50 pound. While promoting his new movie 'Captain Phillips' on David Letterman's show, Hanks explained: "I went to the doctor and he said, ‘You know those high blood sugar numbers you’ve been dealing with since you were 36? Well, you’ve graduated. You’ve got type 2 diabetes, young man." The star then added jokingly: "Something’s going to kill us all, Dave". People with this condition can overall enjoy a relatively normal life for many years. In fact, despite being a chronic disease capable of taking an average 10 years off the sufferer's life span, diabetes mellitus type 2 can be managed by following an healthy diet and by increasing exercise. In more severe cases it requires regular insulin shots and constant monitoring of blood levels, while the metabolic disorder's long term consequences can include heart disease, strokes, blindness, kidney failure and poor circulation in the limbs, which can lead to amputations.